A County Cork bride is fortunate to have a choice of some amazing hotels in which to hold her celebration. Singers for Hire singing waiters and singing chefs have been fortunate to entertain at all these amazing hotels over the years. Starting in the city centre, the Imperial Hotel is a classic and memorable hotel for a wonderful celebration. Not far from the city centre is the Kingsley Hotel. A wonderful venue owned by the same group who run the equally fantastic Fota Island Resort. Still near the city centre, the Silver Springs has a fabulous function room and a great reputation. A more intimate venue near the city centre and the university is the five star Hayfield Manor Hotel. Also central but near main access roads to Cork airport, Dublin and the West are the Rochestown Park Hotel and the award winning Maryborough Hotel – both perfect wedding venues. A venue just outside Cork that shouldn’t be overlooked is the idyllic Fitzgeralds Vienna Woods hotel in Glanmire. It’s a family run venue with a great reputation. It’s part of the same group who run the equally wonderful Woodlands Hotel in Adare, Co. Limerick. A little bit further from the city, you’ll find the Radisson Blu at Little Island. They have a highly professional wedding team. We have sung there for some incredible wedding celebrations and corporate events over the years. You would be crazy to stop in Cork city and not check out offerings further afield in the county. The Garryvoe Hotel, with its stunning beachside location. Or consider the famous culinary offerings at Ballymaloe House. Still in East Cork, Castlemarytr is a great choice especially for golf and spa loving brides. It’s not just East Cork that has some fantastic hotels. Clonakilty is spoiled for choice. Try the Fernhill House Hotel, Dunmore House or Inchdoney both competing to make your day incredibly memorable. The Bantry Bay Hotel and the Celtic Ross also make it in to the county Cork top hotels for wedding celebrations. For foodies, you have to try out Kinsale. There you’ll find the fabulous McDonald Hotel, the Trident, Acton’s and the Blue Haven. There is also the boutique Ballinacurra House, where Michael Jackson secretly stayed with his family for months. In North Cork they will not to be outdone with some amazing wedding hotels. For example the Charleville Park Hotel and in Mallow the Springfort Hall Hotel. 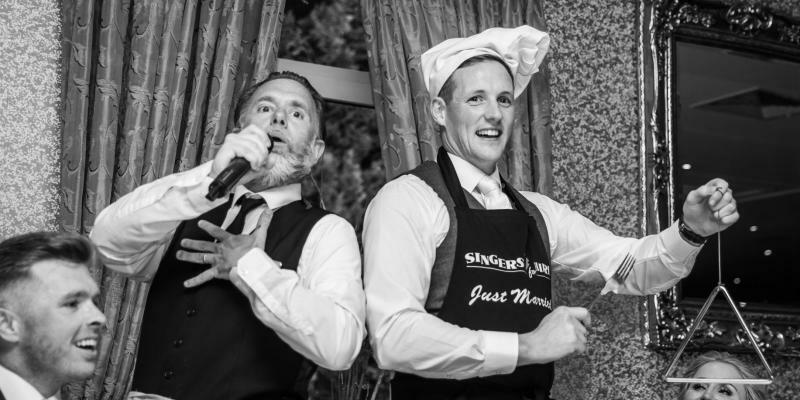 For your Cork wedding extravaganza, you are spoilt for choice and luxury, just make sure you call the wedding entertainment experts at Singers for Hire. Once you’ve found the perfect venue, let our Cork Singing Waiters and Singing Chef wow your unsuspecting wedding guests to compliment your perfect wedding day. Thank you for organizing the singing waiters for my birthday celebrations. We all loved the performance. Please pass on my gratitude. Just wanted to say a big thank you to Marco for entertaining us on Friday night. He was amazing and the best surprise for our staff! 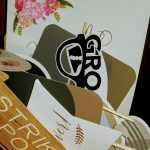 I will definitely be in touch again as I would love to use his services again for some of our corporate events. A big "thank you" to Marco for a great performance in Ballyseede Castle at our family wedding. All the guests and myself really enjoyed it immensely; it was a delightful surprise for all. Our American and Irish guests had never seen anything like it and all are still talking about it. The atmosphere was already great after a lovely ceremony and drinks reception in Ballyseede. Our numbers were small so the mingling was already well established but Marco brought it to a new level. I had managed to keep it secret which was difficult as I was so delighted to get the booking - even my husband didn't know! It got the rest of the evening off to a great start and we all had a great and memorable night. Thanks again, and to you also for your speed in confirming the booking and arranging it all.